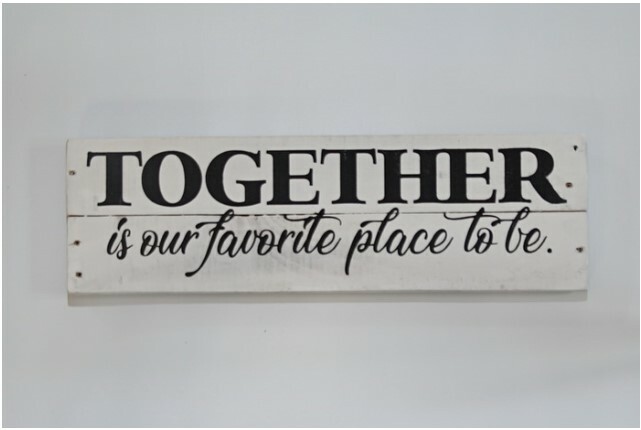 Wood Wall Art is the best option to decorate the walls in your workplace and home. There are many styles you can adopt and display on walls. These styles differ in size, design,and technique. You will be surely astonished to know the different types of wooden art available today. 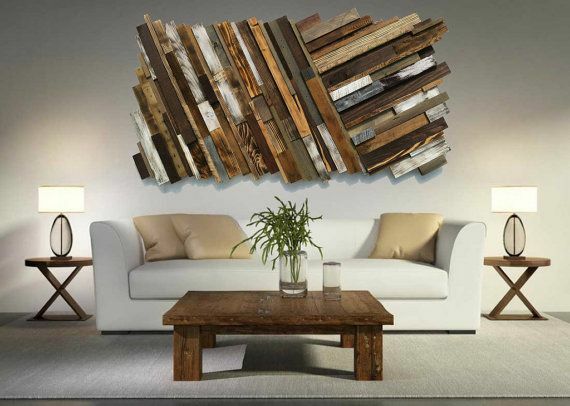 When you go to buy these wooden wall art, it may cost you a fortune. However, if you know what materials to have and the technique, it becomes easier for you to create your own design, whatever you like.It is a onetime investment and you can use it repeatedly. You just have to purchase the raw material to create something creative. Before starting you should be very sure that you want to make a wall art out of wood because some of the equipment is costly. So if you think you have the passion for creating artwork then you should proceed.You can buy these materials from any hardware store. You can buy two types of saws; a basic hand saw or miter saw. The type depends on the type of woodwork you are doing. A cordless drill will be perfect for this job. Varieties of the drill bit are available, use the one which is the most appropriate. The tape measure is important to determine the size of the wood wall art. A dual scale self-retracting metal tape measure will be the best choice. You can use either metal or plastic screws but nowadays, wooden screws are ideal options to ensure that the artwork is perfect. Use of pencil will ease the marking of the measurement. You can also use a marker or ballpoint but the marks will not go away. Sandpaper will make the surface of the wood even and polishing can be easy and smooth. It is important to buy protective gear like; face mask, gloves, helmet,and ear protection. There are many types of painters tape available, you buy different thickness to create different designs. You can purchase wood panels, varnish and paint according to your need. You can buy all of the above-mentioned material or go to any store and purchase or order a piece of art. There are many stores who deal in this;American Echoes is a place to visit. You can simply consider taking up a DIY project.After buying the materials, you need someplace to work. Your attic or backyard will be a good place to setup. Cover the floor with a plastic sheet so that cleaning is easier. Have you worn your protective gear? You did, good, now follow these steps to make your own art design. You need to first cut the boards according to the size. Take the tape measures and measure the length and width of the boards. Make them with a pencil carefully. Use the saw to cut them according to the markings. Put the cut boards on another table so that they don’t get into the way. You will feel that the boards have an uneven surface and paint will not look good on them. Use the sandpaper and even out the boards on all sides. Different grits sandpapers are used in different ways, so ask any hardware store employee and he will help you. 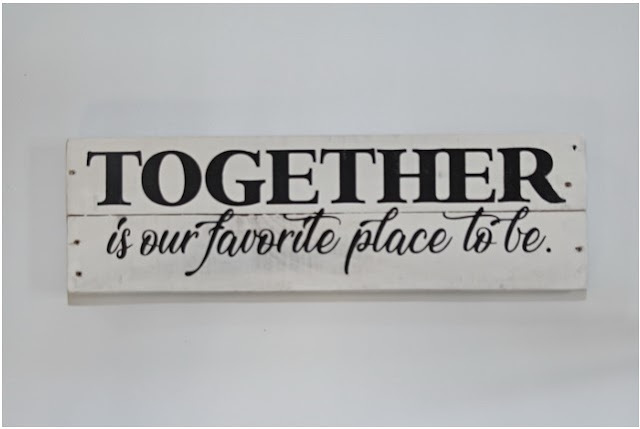 You can use flat aluminum pieces or wooden boards at the back to connect and hold the art work piece This can be best used when making wooden flags. Use screws at the back to hold the boards together. You can paint the boards in two different ways. Either the paint can be used before you join the boards or first connect the pieces and then paint. This depends on the type of art and of course your skills. Painters tape will be used after joining the boards together. Stick the tape on the board according to the design. Make sure to check that the tape is fastened tightly, otherwise the paint may spread. When you are finished with the painting, you can apply varnish to make the art shine and not letting the paint wear off. After keeping it overnight you can use sandpaper one last time to blend it. You can use sandpaper to round off the edges. In the end, screw up the whole art and prepare it to hang on the wall or you can just place it anywhere. You can see that it is very easy to create any type of art when you have the proper equipment and the skills. 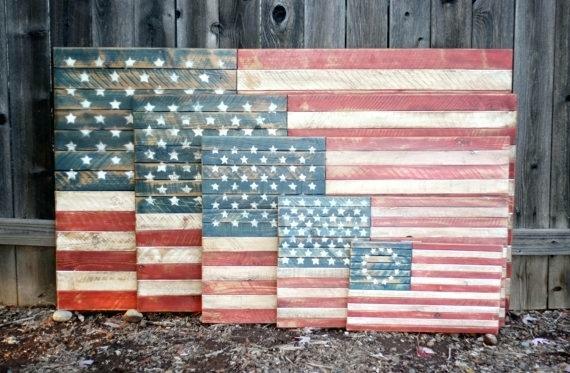 This can especially help you in creating wood flag art for your home or workplace.